Trump should undo an Obama policy that largely blocks them from getting U.S. aid. As Islamic State heads toward defeat in Iraq, Christian and Yazidi survivors of genocide should be returning to their hometowns in Nineveh province. Instead, these fragile minority communities mostly remain stranded at displacement shelters in Kurdistan without the means to rebuild their villages. 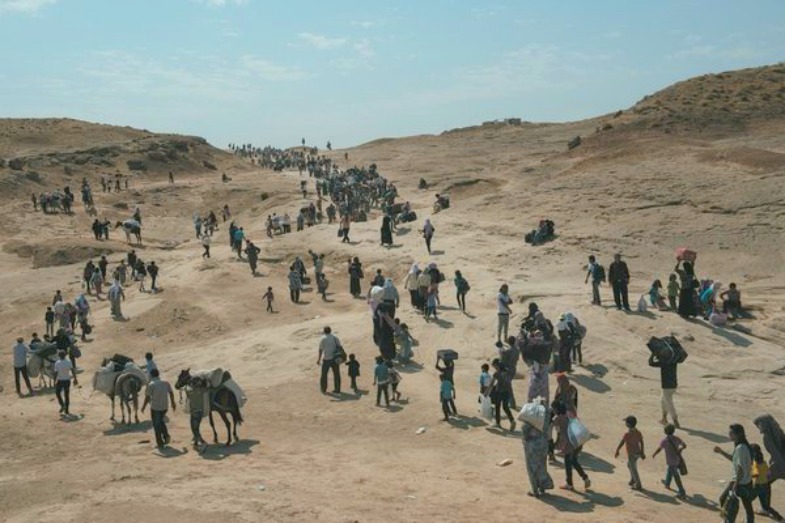 Many are fleeing Iraq, and the country now risks losing these religious minorities entirely. The Trump administration is making the situation worse by continuing Obama policies that effectively exclude these non-Muslims from U.S. aid in Iraq. Today there are fewer than 250,000 Christians in Iraq, according to the State Department, down from as many as 1.4 million before the 2003 invasion. These Christians speak Aramaic, like Jesus of Nazareth, and trace their faith to Thomas the Apostle, whose relics were spirited from Nineveh by Orthodox monks as ISIS approached. The Iraqi Jewish community, its roots in the Babylonian exile, was forced out over the past 70 years; fewer than 10 Jewish families remain in Baghdad. Yazidis—who have lived near the Sinjar Mountains—number about 400,000. Nadia Murad, the voice for thousands of Yazidis enslaved by ISIS, warned a congressional panel earlier this year that her people could soon disappear because of emigration. This would signal the end of Iraq’s indigenous non-Muslim communities. President Trump has spoken about the plight of Christians in the Middle East, but he has done little to effect change. Far lower percentages of Christians and Yazidis are returning from displacement to their homes in the devastated Nineveh Plains and Sinjar, respectively, compared with the larger religious groups in Tikrit, Fallujah and Mosul. The prior administration decided to have U.S. reconstruction assistance, now at $265 million since fiscal 2015, also flow through the U.N. The director of the U.S. Agency for International Development, Mark Green, started only last month and has not yet moved to change this policy. The U.N. acknowledges that most of the displaced minorities have not returned home and have shown “a reluctance to return without guarantees of their security and the stability of their towns and villages.” Church leaders close to the displaced are excluded from U.N. and Iraqi government committees that decide stabilization projects, track progress and ensure locals are hired for them. Rex Tillerson’s State Department has not changed this policy. Nor has it answered my request for information. Security remains a problem and threatens America’s regional interests. Iran is moving in on the towns minorities have been unable to reclaim. The U.N. has focused on minor projects in Bartella, a main Christian town. Yet on Sept. 15 the “Imam Khomeini” elementary school and mosque complex opened there at an official ceremony, a “gift from the Islamic Republic of Iran.” In several towns, Iranian-backed militias stand guard. President Trump can take immediate steps to ensure U.S. aid reaches Iraq’s most vulnerable minorities. First, he can direct his administration to address their humanitarian and stabilization needs. This should include dropping the U.N. as a pass-through for U.S. aid. He can also appoint an interagency coordinator to ensure that bureaucratic hurdles don’t interfere with getting aid to all groups. These relatively small tweaks would help preserve the region’s religious minorities. Iraq’s religious minorities are small in number, but assisting them would affirm that the U.S. stands against genocide, protects religious freedom and aids vulnerable minority groups. This article originally appeared in the September 22, 2017, print edition of The Wall Street Journal.